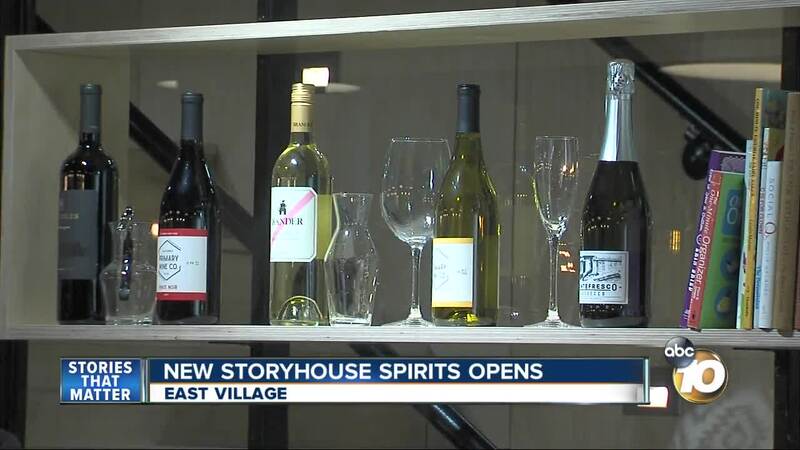 Storyhouse Spirits opened in the East Village this week at the corner of J and Park Blvd. SAN DIEGO (KGTV) — A new craft distillery is making a home in San Diego's East Village. Storyhouse Spirits opened Friday at the corner of J St. and Park Blvd. The 7,600-square-foot distillery, bar, and lounge offers the second largest distillery in San Diego, a street-side patio and mezzanine overlooking the distillery, and skyline and waterfront views. The opening has been a four-year journey, according to former Marine pilot and co-founder Matt Kidd. "Plain and simple, I'm a creator, I love whiskey and I love sharing whiskey," Kidd said. "It's a passion and a lifestyle play for me." Storyhouse plans to also offer what they call "California-inspired" gin and vodka, in addition to whiskey.